In the early 1970s, in response to the United States testing nuclear weapons on the island of Amchitka, a group of environmental activists got together with the aim of sailing a ship out to Amchitka to disrupt the weapons tests and stop them. But fuelled by bad weather, delays, infighting and clashes of ego, the group never reached the island and the weapons tests went ahead. Yet the symbolism of their attempt flourished in the media, entering the public consciousness. This is where the “Greenpeace movement” was born, emerging from the era of a philosophy of passive resistance, where bearing witness to objectionable activity is supposedly protested simply by a mere presence. But just how far can this philosophy go to actually stop atrocities? 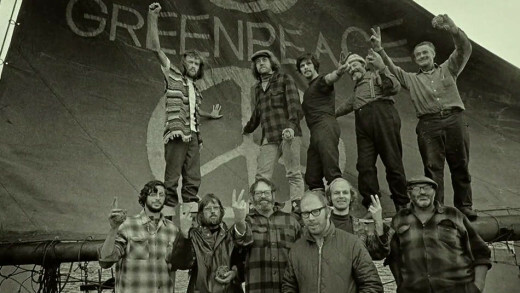 This film reveals the answer to that question, where Greenpeace eventually morphs into a large global organisation, far from its environmental ideals. Internal fallout leads to the founders each drifting their own separate ways, with some even coming to criticise Greenpeace and others even actively working against their own creation.